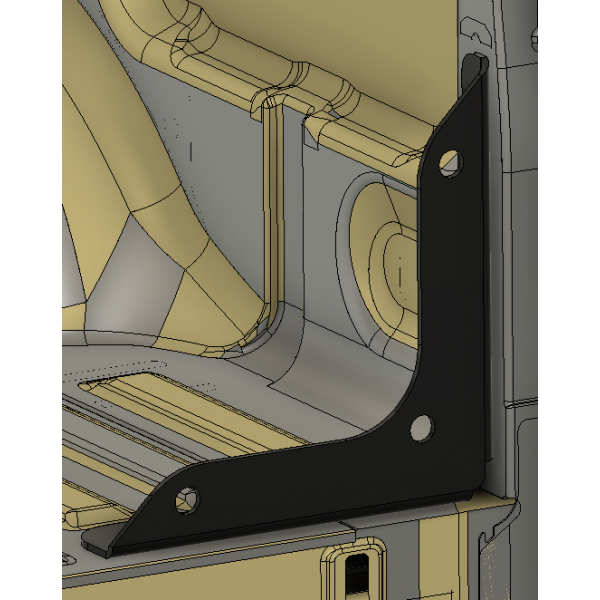 After repeated off-road use the F-150 bedsides have a tendency to sag outward leaving a larger than normal gap between the beside and the tailgate. Our new bed side support provides support to your bedsides to prevent sagging, as well as providing additional tie down points for your cargo. With a low profile and wide opening it still allows for large and heavy items to be moved in and out of the bed with ease as well as allowing a 4' sheet of material to be placed in the bed. This product fits all F-150 trim levels including the Raptor. Note: Not compatible with a bed extender. 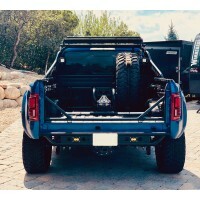 After repeated off-road use the F-150 bedsides have a tendency to sag outward leaving a larger than ..